NOTRE DAME — A $5 million donation for Notre Dame. The Ricci family from Willoughby, Ohio, made the donation. 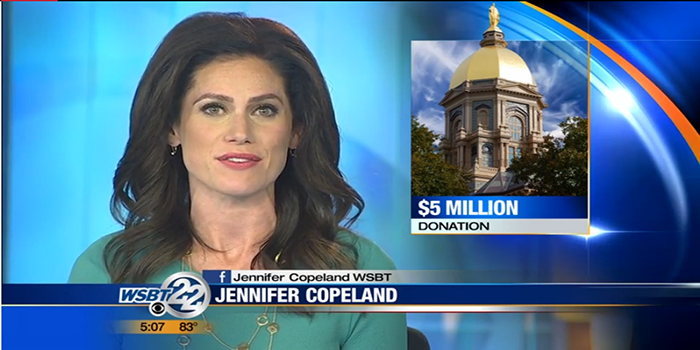 The money will be used to help create an outdoor home for the Notre Dame marching band. The facility will also include a world-class facility for students participating in recreational sports. It will be called the Ricci Family Fields. Kenn Ricci is a 1978 Notre Dame grad and a newly elected member of the university’s board of trustees.